President Barack Obama's administration appears to have rejected a deal-breaking demand by Israel for an Iranian confession to having had a covert nuclear weapons program as a condition for completing the comprehensive nuclear agreement. Pro-Israeli commentators have openly criticized the Obama administration for failing to explicitly demand that Iran confess to charges by the International Atomic Energy Agency (IAEA) of a covert nuclear weapons program. Demanding such a confession would be an obvious deal-breaker, because Iran has consistently denied those past charges and denounced the documents and intelligence reports on which they were based as fraudulent. In fact, the failure of the talks appears to be precisely the Israeli intention in pressing Washington to make that demand. All the intelligence in question can be traced back to Israel, and investigation of the material has shown that the documents and reports that have been most widely publicized betray multiple indications of having been fabricated, as reported by IPS. 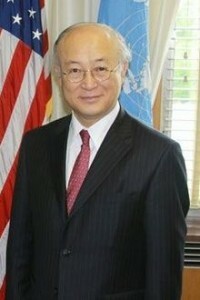 A "senior administration official" told reporters after the Nov. 24 Joint Plan of Action was announced that the United States had "made clear" in the negotiations that "the Security Council resolutions must still be addressed ... and that Iran must come into compliance with its obligations under the NPT and its obligations to the IAEA." The U.N. Security Council Resolution 1929 of Jun. 9, 2010 says Iran "shall cooperate with the IAEA on all outstanding issues, particularly those which give rise to concerns about the possible military dimensions of the Iranian nuclear program." The term "possible military dimensions" had been used by the IAEA in referring to the claims publicized by the agency over the past six years of covert Iranian nuclear weapons development projects, including an alleged facility at Parchin for testing nuclear weapons designs. The Obama administration thus seemed to suggest that some kind of Iranian admission to past nuclear weapons work is a condition for a final agreement. But the administration's rhetoric on resolving IAEA claims of a nuclear weapons program appears to be less about forcing Iran to confess than responding to pressures from Israel and its supporters in the United States. The first explicit indication of Israeli pressure on Obama to demand an Iranian confession as part of any diplomatic settlement came in a September 2012 article by Patrick Clawson and David Makovsky, then both senior staff members of the Washington Institute for Near East Policy (WINEP), whose analysis and recommendations reflect Israeli government policy. "Given Iran's past undeclared activities," Clawson and Makovsky wrote, "a particular concern is that Iran will develop clandestine nuclear facilities. Tehran's coming clean about the past will therefore be an important determinant of whether it has any hidden capabilities." The demand that Iran "come clean" on its alleged nuclear weapons program entered into the Obama administration's public posture for the first time after consultations with Israel in advance of the October 2013 round of negotiations with Iran. Secretary of State John Kerry declared in Tokyo on Oct. 3 that Iran would "have to prove it's willing to come clean about the nuclear program." That same day, Ambassador James Jeffrey, a senior fellow at WINEP, in testimony before the Senate Foreign Relations Committee, said Iran "must come clean on its nuclear-related military research." By the time the negotiations on the joint Plan of Action were completed in November, however, the State Department adopted language on the issue that harkened back to Kerry's testimony at his Senate confirmation hearings in January 2013. Kerry had said then that "questions surrounding Iran's nuclear weapons program" had to be "resolved." It quickly became apparent that Israel had wanted the United States to demand not only a pro forma confession by Iran but the details of its alleged work on nuclear weapons. On the very day the agreement was announced, however, Robert Satloff, the executive director of WINEP, expressed his unhappiness that the deal did not include "getting Iran to come clean on all its past clandestine programs." Also on Nov. 24, in the Wall Street Journal, Mark Dubowitz and Orde Kittrie of the Foundation for the Defense of Democracies, which is well known for expressing Israeli policy on Iran, criticized the Joint Plan of Action for failing to "make clear reference to Iran revealing its past nuclear weapons research." The following day, again in the Wall Street Journal, WINEP managing director Michael Singh objected to the same U.S. failure to demand all the details of Iranian work on nuclear weapons. "Without insight into the full extent of Iran's clandestine nuclear activities," Singh wrote, "no amount of monitoring and inspection can provide confidence that Iran lacks a parallel program beyond the inspectors' view." Along with Kerry's initial adoption of the "come clean" rhetoric, these sharp criticisms of the U.S. refusal to call explicitly for a confession indicate that the Obama administration had initially gone along with Israel in calling for Iran to "come clean" but concluded that such a demand risked a premature breakdown in the talks.